YHC arrives with flag 3 minutes to go. Barely made it through the night with some kind of weird virus. I explain that perseverance is the key. Don’t wait to feel better to workout, workout to feel better. As I write this I feel like whatever has had the hold on me is slowly letting go! Rinse and repeat till elevens are achieved. Move to playground artificial turf for a ring-around-the-MARY. Mosey back to AO for COR, NOR, Announcement, and BOM. Mumble chatter was in full swing started YHC’s comment to workout till you feel better; Roboto & Crack felt great pre-workout and off to coffee they go. Obviously, they didn’t as Windmills ruined Crack and Baby Shoes. 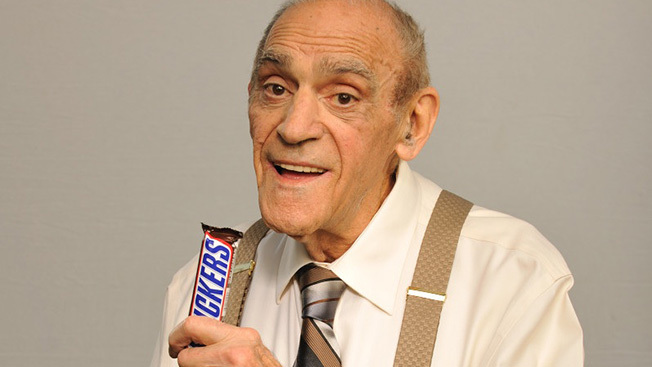 It’s been awhile since I’ve seen Abe Vigoda’s spirit takeover a PAX. Crack hates burpees even YHC but I have a virus or SARS and I need to beat it out of me. Burpees are a sure fire way to eliminate what ails you. Baby Shoes and EEEE in beast mode tearing up the bear crawl. Lots of comments about locked up hip flexors and groans on the lunge. The 5 minutes of fast tempo SSH from Baby Shoes pretty much finished us off. The lesson continues to be learned over handing off the Q to improvise – PAX much of the time do not follow directions e.g. MARY not hyper aerobics #SSH are not MARY, Merkins are not MARY. F2 commenced at City Java. Good times! Grateful to EEEE for picking up the tab! Previous Post Working out the soreness from Joker’s Q on Tues.